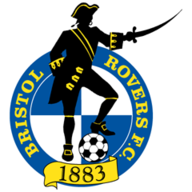 Match ends, Wycombe Wanderers 1, Bristol Rovers 5. Second Half ends, Wycombe Wanderers 1, Bristol Rovers 5. Attempt saved. Paris Cowan-Hall (Wycombe Wanderers) right footed shot from outside the box is saved in the top centre of the goal. Corner, Bristol Rovers. Conceded by Josh Umerah. Attempt blocked. Marc Bola (Bristol Rovers) left footed shot from outside the box is blocked. Attempt saved. Anthony Stewart (Wycombe Wanderers) header from the centre of the box is saved in the centre of the goal. Corner, Wycombe Wanderers. Conceded by Cameron Hargreaves. 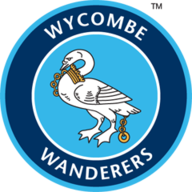 Corner, Wycombe Wanderers. Conceded by Tom Broadbent. Goal! Wycombe Wanderers 1, Bristol Rovers 5. Ryan Broom (Bristol Rovers) right footed shot from very close range to the centre of the goal. Assisted by Dominic Telford. Attempt missed. Nick Freeman (Wycombe Wanderers) right footed shot from outside the box misses to the right. Substitution, Bristol Rovers. Cameron Hargreaves replaces Liam Sercombe. Attempt missed. Luke O'Nien (Wycombe Wanderers) right footed shot from outside the box is close, but misses to the left from a direct free kick. Substitution, Bristol Rovers. Rollin Menayese replaces Jonathan Burn. Corner, Wycombe Wanderers. Conceded by Marc Bola. Substitution, Wycombe Wanderers. Paris Cowan-Hall replaces Dayle Southwell. Substitution, Bristol Rovers. Luke Russe replaces Byron Moore. Attempt missed. Ollie Clarke (Bristol Rovers) left footed shot from outside the box is close, but misses to the left. Joe Partington (Bristol Rovers) wins a free kick on the left wing. Attempt saved. Dominic Telford (Bristol Rovers) right footed shot from the centre of the box is saved in the centre of the goal. Attempt saved. Nick Freeman (Wycombe Wanderers) right footed shot from the centre of the box is saved in the centre of the goal. Marc Bola (Bristol Rovers) hits the left post with a left footed shot from the left side of the box. Josh Umerah (Wycombe Wanderers) wins a free kick on the right wing. Foul by Marc Bola (Bristol Rovers). Goal! Wycombe Wanderers 1, Bristol Rovers 4. Liam Sercombe (Bristol Rovers) right footed shot from outside the box to the top right corner. Substitution, Wycombe Wanderers. Anthony Stewart replaces Adam El-Abd. Attempt missed. Dayle Southwell (Wycombe Wanderers) left footed shot from the left side of the box is close, but misses the top right corner. Attempt missed. Sido Jombati (Wycombe Wanderers) header from the centre of the box misses to the right following a corner. Goal! Wycombe Wanderers 1, Bristol Rovers 3. Ryan Broom (Bristol Rovers) left footed shot from the left side of the six yard box to the bottom left corner. Assisted by Joe Partington. Attempt missed. Rory Gaffney (Bristol Rovers) right footed shot from outside the box is just a bit too high. Dominic Telford (Bristol Rovers) wins a free kick on the left wing. Jonathan Burn (Bristol Rovers) wins a free kick in the defensive half. Second Half begins Wycombe Wanderers 1, Bristol Rovers 2. First Half ends, Wycombe Wanderers 1, Bristol Rovers 2. Attempt blocked. Dominic Telford (Bristol Rovers) right footed shot from the right side of the box is blocked. Attempt missed. Dayle Southwell (Wycombe Wanderers) right footed shot from the right side of the box is just a bit too high. Goal! Wycombe Wanderers 1, Bristol Rovers 2. Dominic Telford (Bristol Rovers) header from the left side of the six yard box to the bottom left corner. Assisted by Ryan Broom. Corner, Bristol Rovers. Conceded by Luke O'Nien. Attempt saved. Dayle Southwell (Wycombe Wanderers) right footed shot from outside the box is saved in the centre of the goal. Attempt saved. Josh Umerah (Wycombe Wanderers) header from very close range is saved in the top centre of the goal. Corner, Wycombe Wanderers. Conceded by Jonathan Burn. Attempt blocked. Josh Umerah (Wycombe Wanderers) right footed shot from the left side of the six yard box is blocked. Attempt missed. Luke O'Nien (Wycombe Wanderers) left footed shot from outside the box is close, but misses to the left. Corner, Bristol Rovers. Conceded by Jack Williams. Corner, Wycombe Wanderers. Conceded by Joe Partington. Jack Williams (Wycombe Wanderers) wins a free kick in the attacking half. Foul by Ryan Broom (Bristol Rovers). Attempt missed. Marcus Bean (Wycombe Wanderers) right footed shot from outside the box misses to the left. Josh Umerah (Wycombe Wanderers) wins a free kick in the defensive half. Attempt missed. Rory Gaffney (Bristol Rovers) right footed shot from outside the box is too high. Rory Gaffney (Bristol Rovers) wins a free kick in the attacking half. Jack Williams (Wycombe Wanderers) wins a free kick in the defensive half. Goal! Wycombe Wanderers 1, Bristol Rovers 1. Dominic Telford (Bristol Rovers) right footed shot from the right side of the six yard box to the bottom right corner. Marc Bola (Bristol Rovers) wins a free kick in the attacking half. Foul by Josh Umerah (Wycombe Wanderers). Goal! Wycombe Wanderers 1, Bristol Rovers 0. Dayle Southwell (Wycombe Wanderers) header from very close range to the high centre of the goal. Jack Williams (Wycombe Wanderers) wins a free kick on the right wing. Attempt blocked. Josh Umerah (Wycombe Wanderers) left footed shot from a difficult angle on the left is blocked.